Fight, flight or freeze. Those are the three traditional options we humans have when confronted with dangerous or overwhelming situations. Judy Long suggests a fourth: challenge. For caregivers whose stress levels often keep them on a high-fight-or-flight alert, this new option can come as good news. 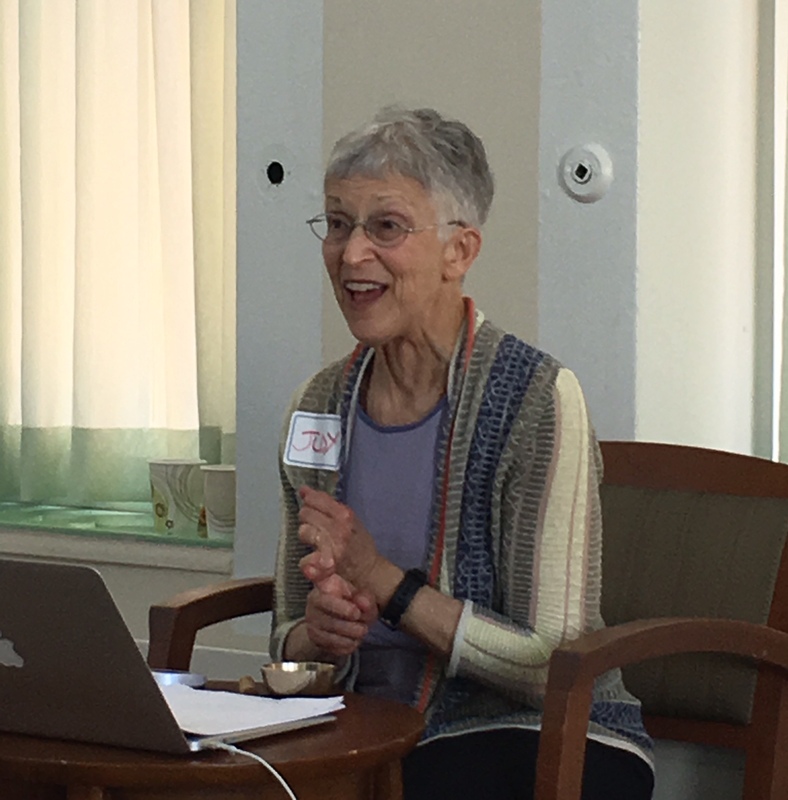 Long spoke recently on Caregiver Resilience and Well-Being: Sustainable Caregiving at a meeting in San Francisco. "The 'challenge' response," she told members of the San Francisco Bay Area Network for End of Life Care, "can actually have biological benefits. When you can look at (your stress) as excitement you can actually perform better." Judy Long, who is currently Palliative Care Chaplain in the Department of Neuropathy at the University of California San Francisco, has an extensive list of credentials in things like Mindfulness-Based Stress Reduction and Mindful Self-Compassion - the academics underlying today's insights into the caregiving business. And for those in the trenches of caregiving, small suggestions can offer big help. "Sustainable caregiving," Long says, involves "all of the things we do for ourselves when we're involved with caregiving. I know how exhausting it can be. But we can all be doing things that have great meaning, that are nurturing and nourishing for ourselves." Long tells of completing her chaplaincy training, which included a year of training at the University of California San Francisco. One year later, she says, she was asked to take on a six-month chaplaincy at UCSF - assigned to the neonatal intensive care unit, commonly referred to as NICU. "I wondered how to keep myself centered in all that terrible suffering." The patients in NICU are mostly premature or very sick infants, lying in "isolettes." While extraordinary progress has been made, and continues to be made, with successful treatments, having a newborn in NICU is stressful for parents, and many infants die. It falls to the chaplain, much of the time, to tell a parent his or her baby will not survive, or will have permanent damage. "I found out I was okay with that," Long says, partly for having had some time in between training and actual chaplaincy work in a difficult setting. "I'm a pragmatist," Long says; "I always ask what works." She was determined not to fall into the trap of many caregivers: "overwhelm, shutting myself off from caring by building an armor. Caregiving also points back to ourselves." Long credits one of her teachers and mentors, Roshi Joan Halifax of the Upaya Zen Center in Santa Fe, NM, with offering guidelines she uses to guard against the common pitfalls of isolation - "there are a lot of opportunities to be isolated while trying to do good" - and the sense of helplessness. "I call them my three points: purpose, connection and control." Long's audience at the recent meeting included many who have chosen, as Long herself has, a career path in the caregiving field. It also included three older women, among whom is this writer, who are fulltime caregivers for their husbands: one with peripheral neuropathy, one with both cancer and progressive memory loss and one with Parkinson's disease. For the family caregiver, purpose and connection are clear. But control? An elusive element at best. Which brings us back to the fight-flight-freeze business. Challenge may still be an option.